At Roanoke Valley ENT & Allergy we have the unique opportunity to offer in-office sinus surgeries for your convenience. ENT symptoms and issues can be complex but Dr. Lenkowski and his team are relentless in finding a solution and improving your quality of life. We will listen to your concerns, diagnose any issues and form treatment plan, and recommend the surgery that’s best for you. Functional endoscopic sinus surgery is beneficial for those who suffer from chronic sinus infections. This procedure is often found to be effective for those who’ve struggled long term with chronic sinus issues. Persistent sinus problems (inflammation) can require surgery in order to restore proper breathing and/or improve quality of life. This surgery will increase the size of the sinus openings, and help with drainage. Nasal polyps can often develop in people who have chronic sinus issues, due to the constant inflammation. In this surgery, we use an endoscope with a camera on the end to identify polyps and clear them for healthy sinuses. Office Balloon Sinuplasty (BSP) is an in-office safe and effective sinus procedure for patients suffering from uncomfortable chronic sinusitis. This procedure is minimally invasive and requires no cutting of nasal bone or tissue. Balloon Sinuplasty utilizes a small, flexible balloon catheter to open up the blocked sinus passageways to promote drainage of the mucus build-up in patients suffering from chronic sinusitis. As the balloon is inflated, it widens the walls of the sinus passageway while maintaining the integrity of the sinus lining. 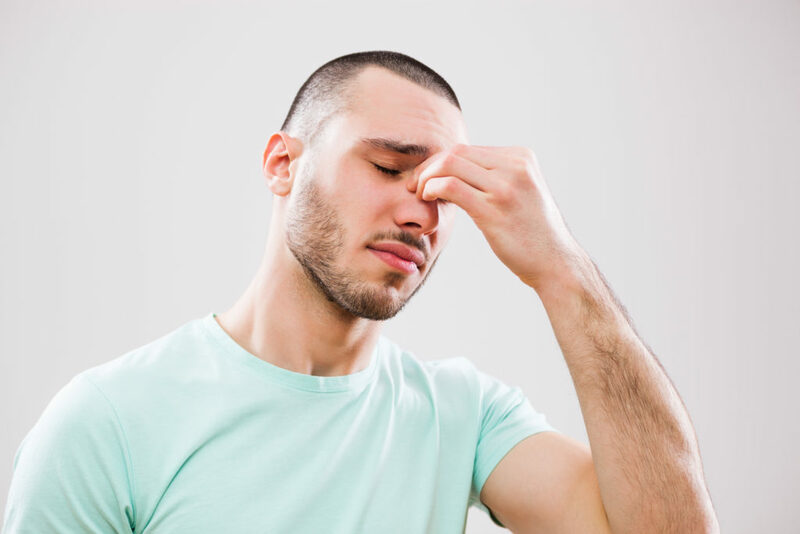 During the procedure, a small amount of saline is sprayed into the inflamed sinus to flush out old mucus or pus that may be blocking the sinus. If you have been diagnosed with chronic sinusitis and medication is no longer helping, we recommend the Office Balloon Sinuplasty. Dr. Lenkowski is exceptionally skilled and trained in performing the in-office BSP technique and he has performed countless in office procedures with successful results. Did you know that more than 20 million Americans suffer from Nasal Airway Obstruction (NAO)? The nasal valve delivers 70% of the airflow to your lungs and if there is even the slightest reduction in airflow, patients can experience trouble sleeping, difficulty breathing at rest or while exercising. One of the structural blockages that can reduce airflow is in the lateral side wall of the nose. The lateral wall may be weak or hyper-flexible in the upper and lower cartilage causing it to collapse inward when breathing. Dr. Lenkowski offers an in-office procedure that is designed to support the cartilage and alleviate the strain placed on the lateral wall when breathing. The LATERA® Absorbable Nasal Implant is inserted inside the nasal wall to reinforce the cartilage and keep the airway open. Dr. Lenkowski will determine if this procedure is right for you.